Among the items now on display are finds from her spring shopping trip to Thailand and Burma. 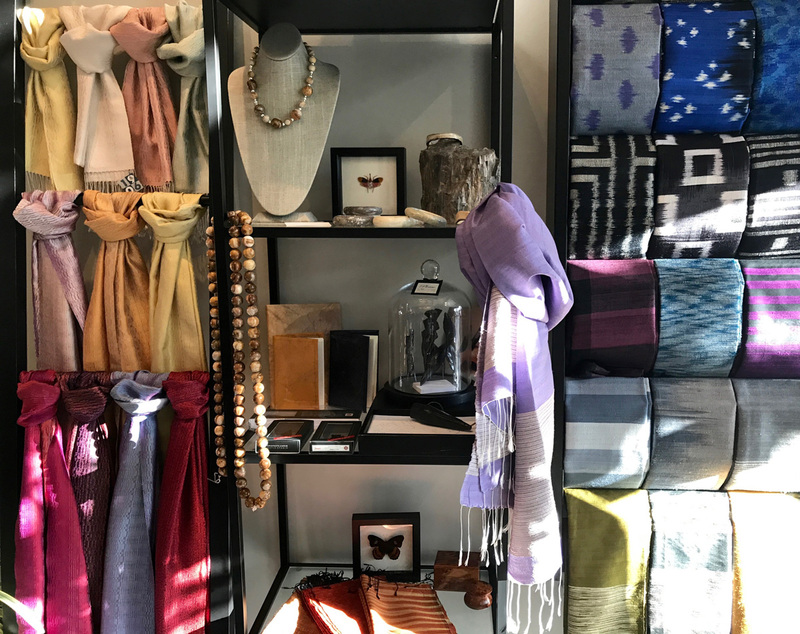 • She offers scarves and shawls in ikats, silk and cotton by Studio Naenna, a nonprofit training ground for young weavers and a source of support for master weavers in Thailand. 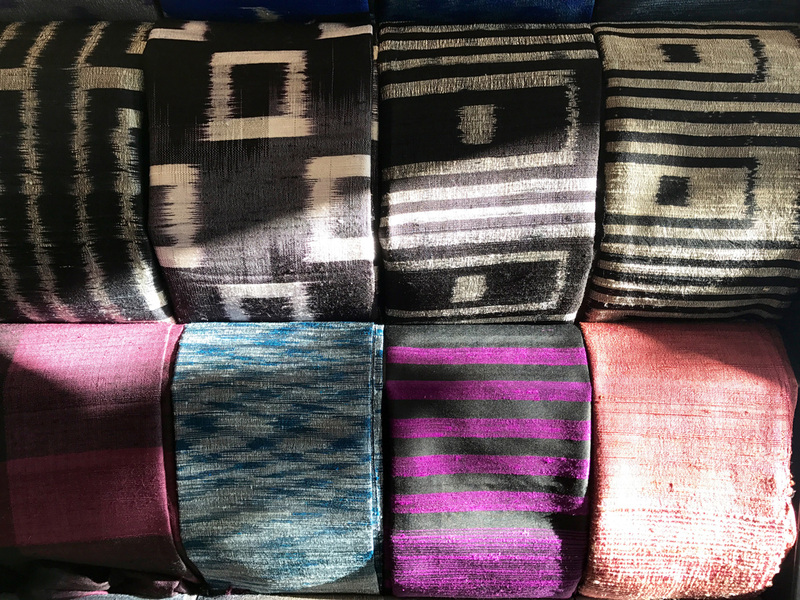 • From Siam With Love provides sophisticated textiles made in Thailand by villagers who farm by day and weave by night. • And from Sop Moei Arts, a nonprofit working with artisans in the Mae Hong Son Province in Thailand, she imports more intricate textiles and unique baskets. 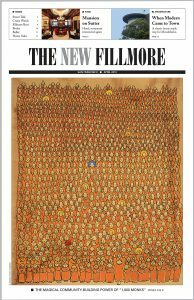 “I never wanted to have a shop — I thought that would be the worst thing in the world,” confesses Dunham, whose foray into shopowning on Fillmore has been marked by several serendipitous turns. “At around age 15, I swore I would wear only silver,” she says, a vow she has strictly honored ever since. 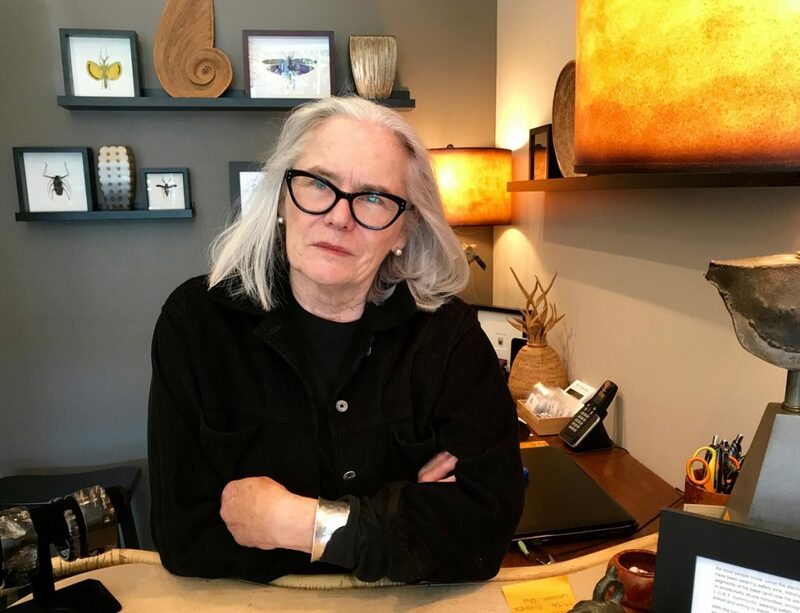 Dunham began collecting in earnest 25 years ago when she and her sister-in-law took a trip to Taxco, a small city in the north-central part of Mexico renowned for its finely crafted silverwork. They returned laden with it. The idea of combining her passion for silver with her natural wanderlust emerged a few years later. At some point, supply and demand outgrew that casual method of doing business, and Dunham took a small room in Fort Mason to show and sell silver about 20 weekends every year. 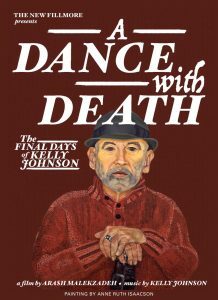 That was an ideal arrangement for a while, particularly when Fort Mason swarmed with eager shoppers drawn to events such as the San Francisco Landscape and Garden Show. “They’d come in with hoes in one hand and discretionary income in the other,” she says. That’s when it began to dawn that a permanent shop might not be the worst thing after all. 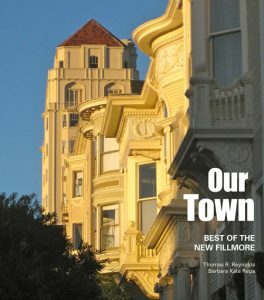 She lived only a block from Fillmore Street, and began to consider renting a storefront. “Then, about seven years ago, this fell into my lap,” she says, waving her arm around the tasteful HiHo Silver shop at 1904 Fillmore. She happened by just as the family that ran Maruya, the takeout sushi shop that had been there for nearly half a century, was considering retirement. She took over and outfitted the space with chests and displays and stocked them with bracelets, necklaces, pendants, pins and a few other miscellaneous items — nearly all of them crafted from silver, much of it from Mexico. But in short order, other curiosities began making their way into the shop: items too interesting or unique or well crafted or whimsical to be left behind during her jewelry shopping excursions. They included finely woven baskets from Bali, indigo-dyed cotton scarves snagged by the armload from a weekend market in Bangkok, graphite sculptures of hands and heads and gingko leaves that could be used as writing instruments. As the shelves in HiHo Silver began to groan, serendipity struck again. Just as Dunham was returning from another buying trip, a friend alerted her that a “for lease” sign had just been posted next door on the storefront at 1906 Fillmore, in recent years a showplace for artist Cassandria Blackmore. It was owned by the same landlord. 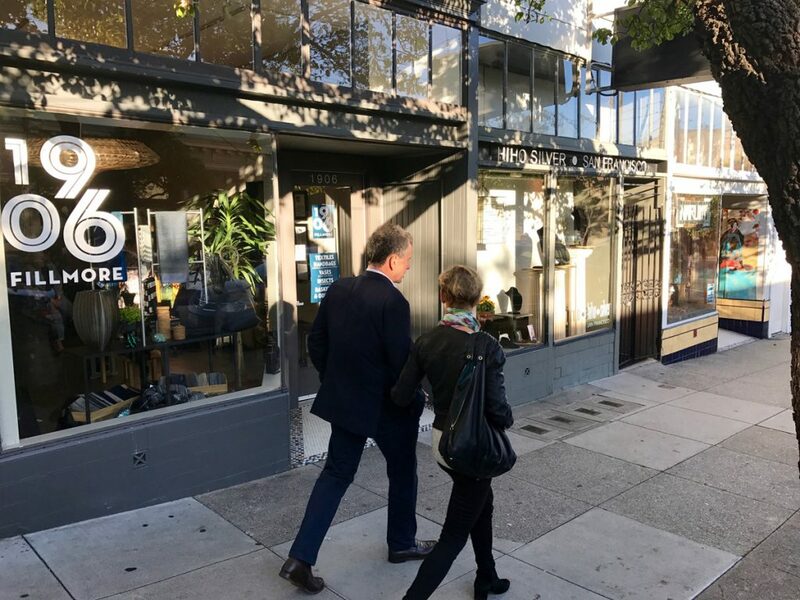 Dunham moved quickly to ink a deal to extend her lease at 1904 Fillmore and take over 1906 Fillmore in an easy negotiation completed down the street at Burger King, where the landlord found parking easier. She was about to leave on a buying trip to Southeast Asia — the perfect opportunity to stock a new store. It may also help that Dunham staffs the store with her friends. “I’m not going to back to Burma,” she says, eyeing the exquisitely engraved, painted and polished cups and bowls she discovered there on her most recent trip while enduring the blistering heat. “I have everywhere else in Asia to go,” she adds.